The International Franchise and Entrepreneurship Expo is the biggest franchise expo on the African continent and is a highlight on the yearly calendar for any franchise that is looking to sell franchises and people looking to buy a franchise. Yesterday was our first day of exhibiting at the IFE Expo and, if I may say so myself, it was a huge success! The Expo started at 10am and pretty soon after ten Mike, Richelle, Me, Marianna, Nick, Mel and Ian were all discussing our fantastic franchise with interested prospects. Throughout the day we had a steady stream of interest at our stand and by the end of the day we had over fifty people very interested in the potential of the WSI Franchise. After the doors closed for visitors, Fasa, the organizer of the IFE Expo, held a cocktail evening for exhibitors, hosted by Michelle McLean. We had all sorts of fun at the event, from networking to the fun-filled quiz where the franchise teams competed against each other. 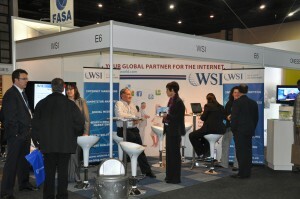 So, if you’re looking to buy a franchise in a sector that is predicted to grow like no other, come and talk to us at the WSI stand at the IFE Expo at the Sandton Convention Centre today or tomorrow (27&28 May 2011). And if you do not want a franchise, come speak to us about you’re business’ digital marketing needs.